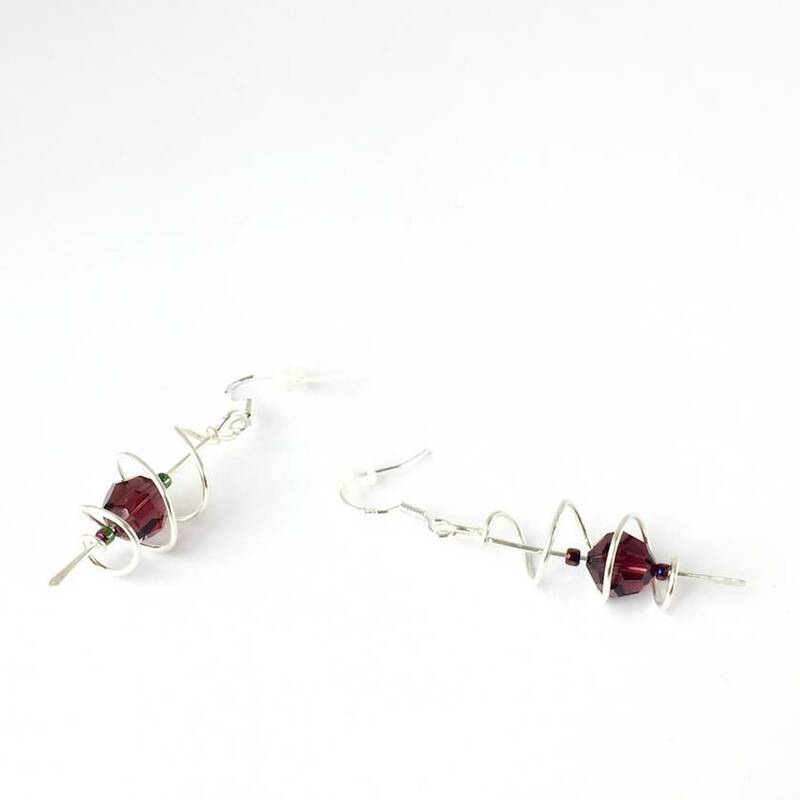 Handcrafted from hammer-hardened 100% recycled Sterling Silver wire, these distinctive open spiralled earrings hold a centrally suspended Burgundy Swarovski Crystal with iridescent seed beads either side. Measures 4cm (1.5 inches) in height. 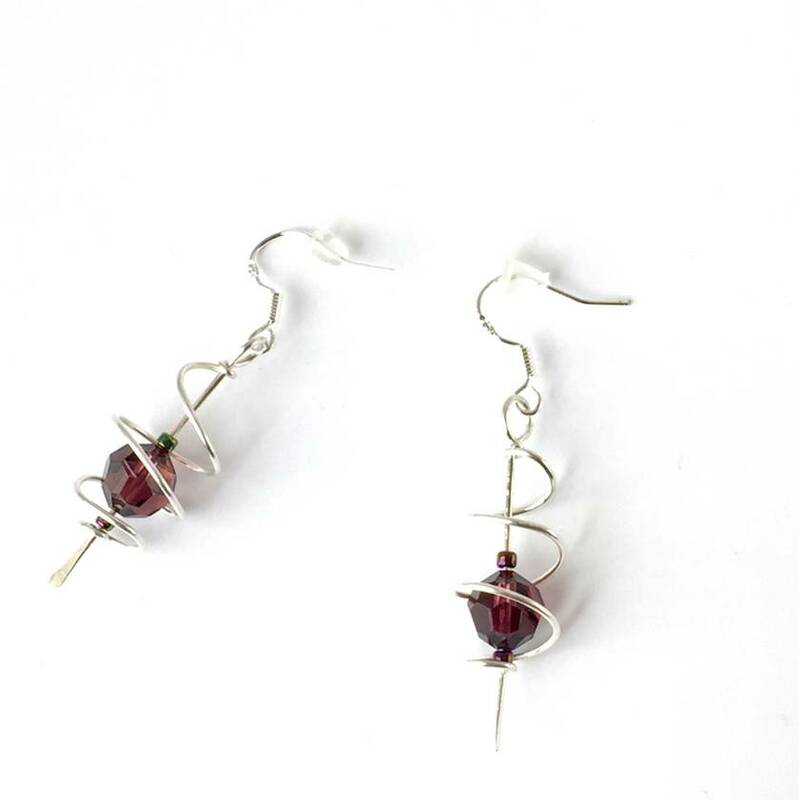 These earrings look gorgeous with just about anything, and the light reflects off the faceted crystals beautifully. Other Swarovski Crystal colours available include: Sapphire Blue, Sky Blue, Erinite Green, Rose Pink, Black (translucent) and Clear AB (clear but with rainbow colours reflected off the facets). Please message me if you are interested in a different colour and I will create another listing. 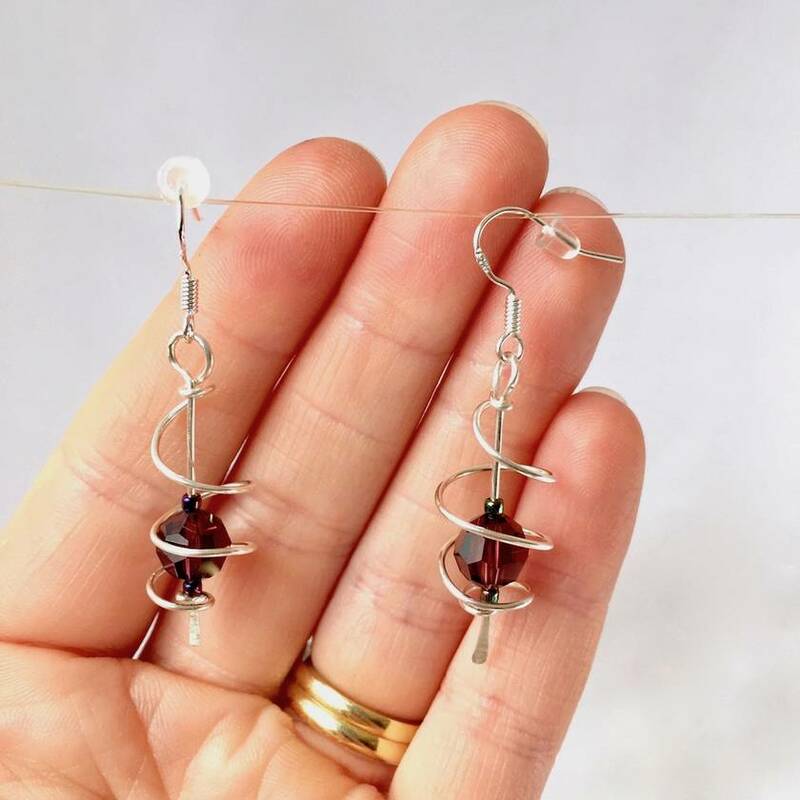 Please remember that as all my items are handmade, no item is identical, and there will be natural variations in shape and composition - even within a pair. 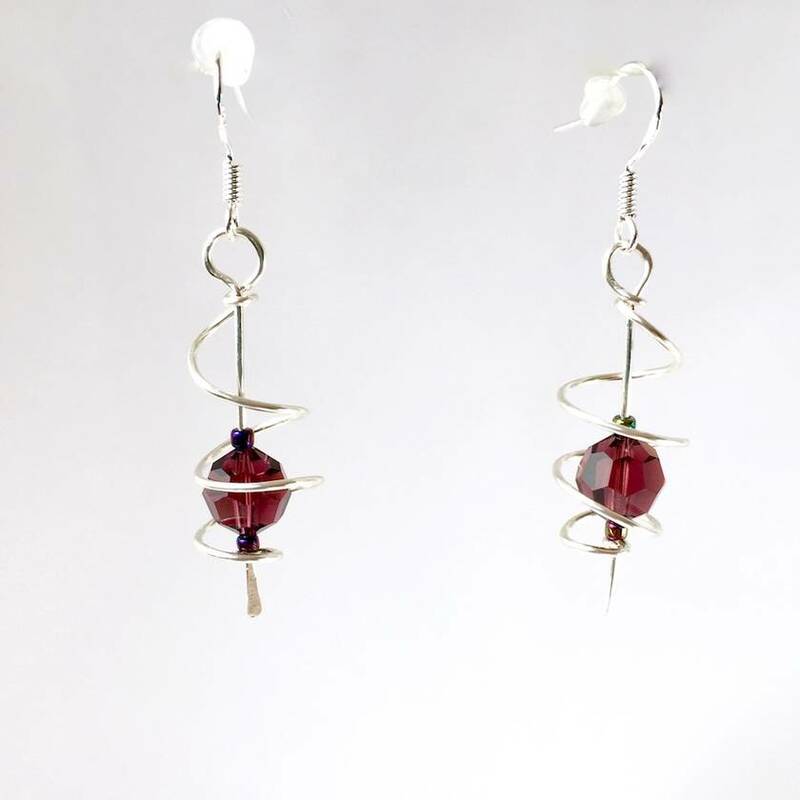 It is also important to note that wire jewellery can sometimes get caught up on clothing and be pulled out of shape. In order to avoid this from happening, it is better to put them on once your (clothing) outfit is complete. All items are made to order, therefore please allow 5-10 working days from order to shipping, to enable the creation of your product. All purchases from Curlicue NZ Jewellery come lovingly gift-wrapped. If your purchase is a special gift for someone - you might like to consider my premium gift wrapping option - which includes a gorgeous mini kete (woven flax) bag. Available as an additional item in my Felt shop.